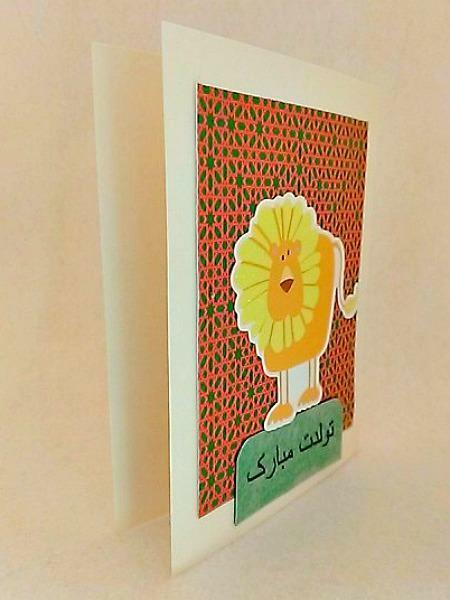 This Persian birthday card is perfect for a child or someone in need of glittered lion. 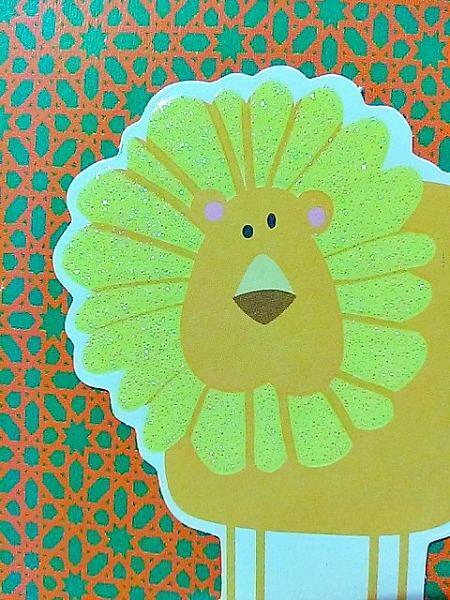 It features a lion that has just had his mane and tail glittered up and is ready to celebrate the party with you. 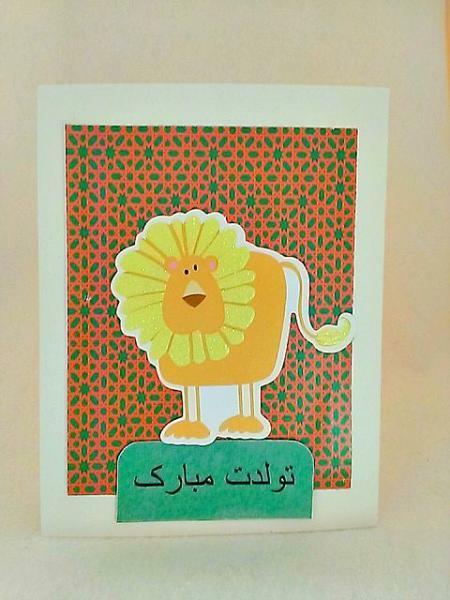 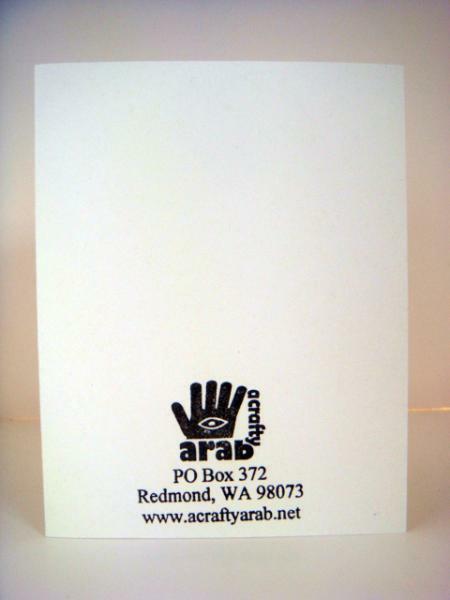 Below the words Tawallodet Mobrak have been written in vellum and added to green cardstock. 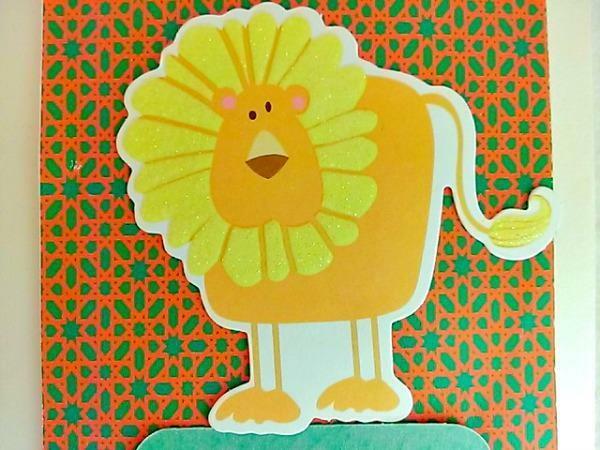 Everything has been placed on a bright orange and green geometric design background.